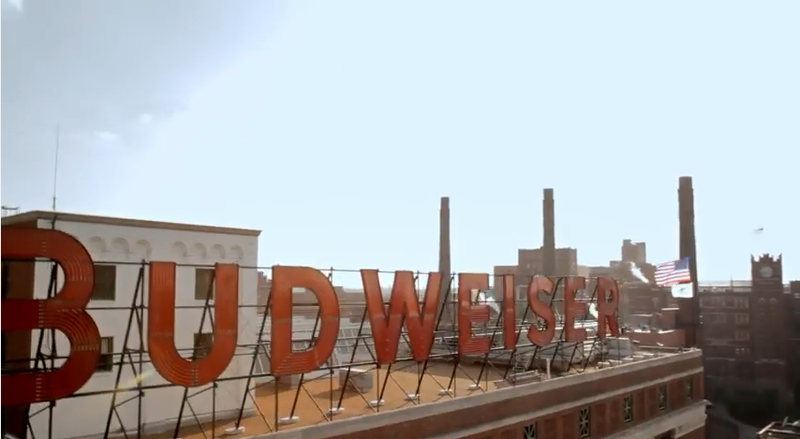 post-title Budweiser ridicules craft beer drinkers in their Super Bowl commercial. Budweiser ridicules craft beer drinkers in their Super Bowl commercial. Home / 2015 / Budweiser ridicules craft beer drinkers in their Super Bowl commercial. In a move that’s set to draw scorn and derision from people who like to drink craft beers, Budweiser have made an advert, screened during the Super Bowl, proudly proclaiming themselves as a macro-brewer (as opposed to the micro craft beers) and poking fun at people who drink craft beer. “It’s not brewed to be fussed over” we’re told as we see a mustache twirling hipster poking his nose into a scooner (not a pint glass as you would if you were a beer swilling, wood chopping bloke who drinks budweiser obviously), and “not for dissecting” as we’re shown three bespectacled men nerdily discussing their “Pumpkin peach ale”. Don’t be a bloody geek is the message. “People who drink our beer like to drink beer brewed the hard way”. But you’ve established that it’s the micro brewers who take more time with it, so why would your beer be considered doing it “the hard way”? There’s a beer for everyones tastes, and that includes Budweiser. This however, is just telling one type of beer drinker to look down on someone else. Most advertising is aspirational, i.e. “Drink this and you’ll be some kind of dynamo”, whereas this advert is poking fun at people just for enjoying a beer.